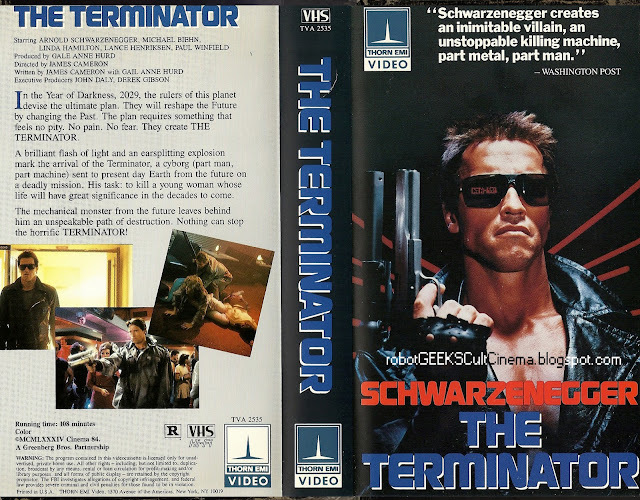 Original Thorn EMI June 1985 VHS release of James Cameron's The Terminator. 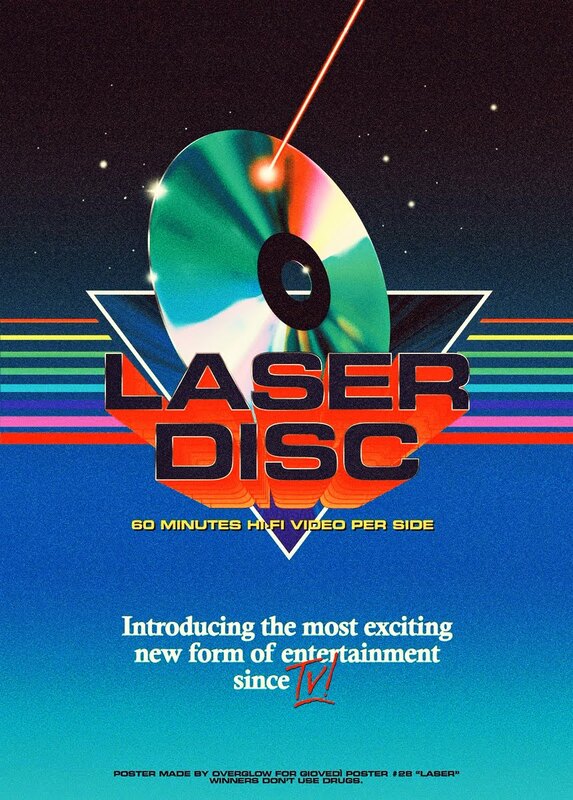 I've always loved this version of the VHS cover art as opposed to all the later slightly altered versions where they seem to have used art school rejects who used some kind of Photoshop filter to give it a different look. Ugh, I hate those covers. This is the original, how the image looked on the theatrical release posters. I'll always remember this mainly for one thing. Back when it was first released into the theaters, I remember for some odd reason they had this poster in my local convenience store. I don't know why. Maybe there was some kind of tie-in with a specific soda or something, but I remember this poster being on the wall. Weird. Most people forget that at it's heart, this is a straight up B-Movie. What ultimately made it stand out from the crowd is having all the right talent at just the right time. James Cameron hadn't yet proven himself a director until this. Stan Winston knocked the practical effects work out of the part here. And Schwarzenegger, though having starred in two Conan films by this time, solidified his career with his no holds barred approach to a cybernetic killing machine. Cameron, Winston and Schwarzenegger created an icon in sci-fi cinema and with this being the first time uttering the now famous catchphrase "I'll be back", made movie history. Hey do you have any clue has to what the previews were on this release? That's a good question. I guess I'd have to pop it in the ol' VHS player to find out. When I'm able to get that done, I'll definitely let you know. Thanks, man. Someone was asking for a specific movie that was previewed on it, and we still can't figure it out. Anly help would be appreciated. Anonymous: Threw in the Terminator VHS last night and unfortunately there weren't any previews before the film started.